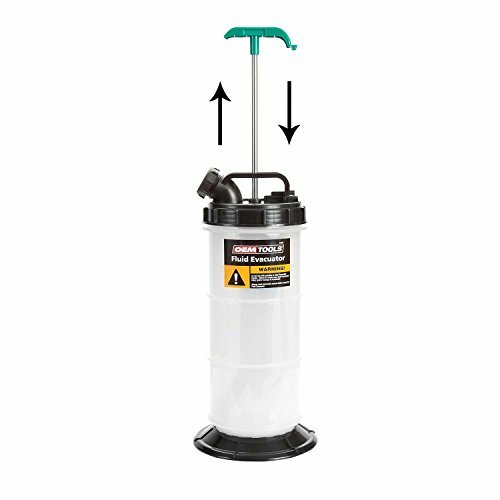 The OEMTOOLS fluid Evacuator has a 1.4 gallon (5.6 Quarts) reservoir with hand operated pump to tackle Big jobs and can be used to extract most fluid types: engine oil, transmission fluid, gear oil, coolant, power steering fluid. 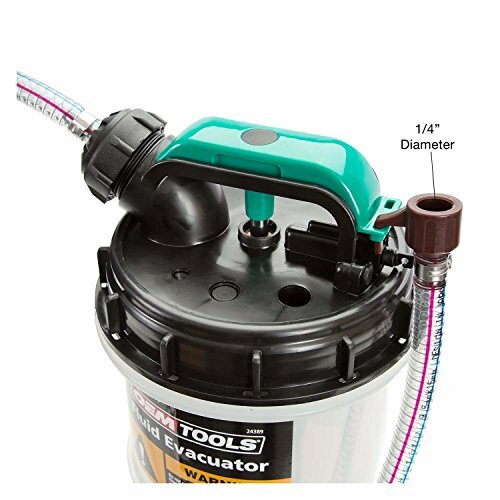 MULTIPURPOSE EXTRACTOR: Designed to extract engine, transmission and lubricating oils from cars, motorcycles, marine engines and industrial machinery. 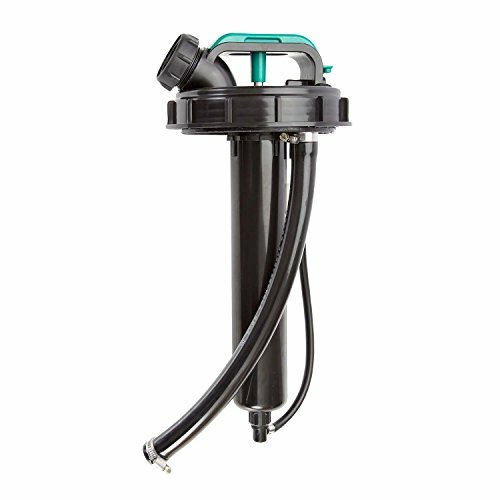 VERSATILE APPLICATIONS: Extracts oil, power steering fluid and low-viscosity fluids, such as water and coolant. 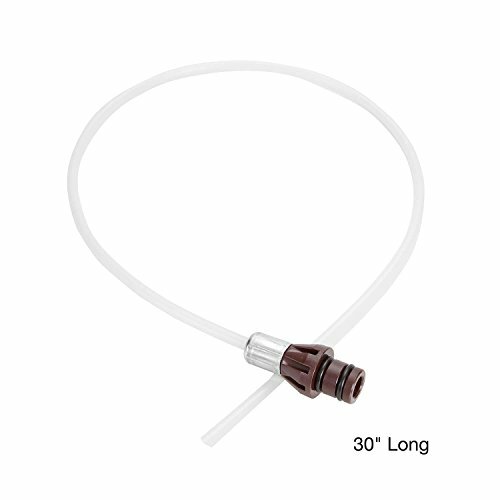 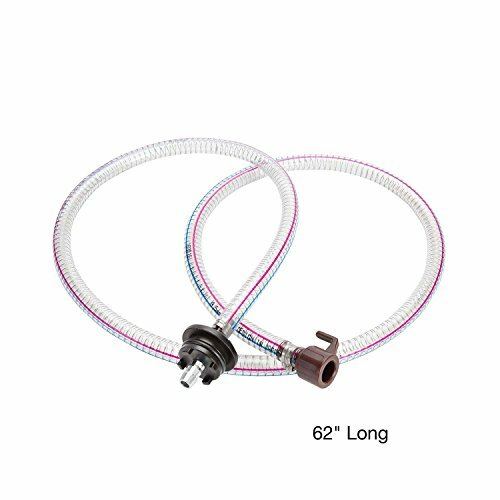 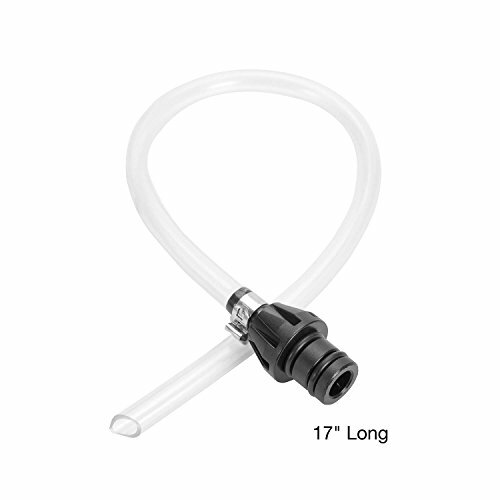 EASY-TO-USE: Includes 5 feet of flex hose and (2) specialized dipstick adapters to extract fluids directly from the dipstick tube. 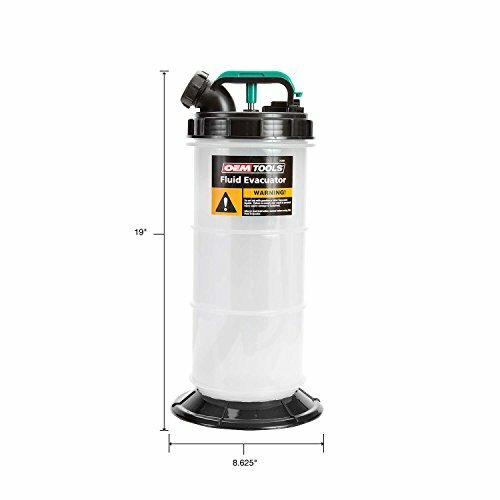 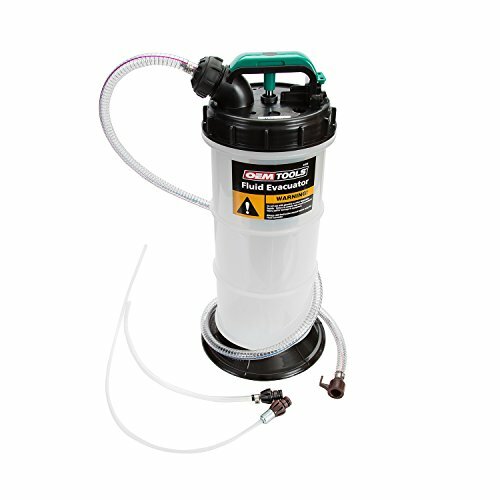 MINIMIZE CLEAN-UP TIME: 1.4 Gallon fluid reservoir features a dependable single-piece construction to drastically reduce oil and fluid spills during fluid maintenance jobs. 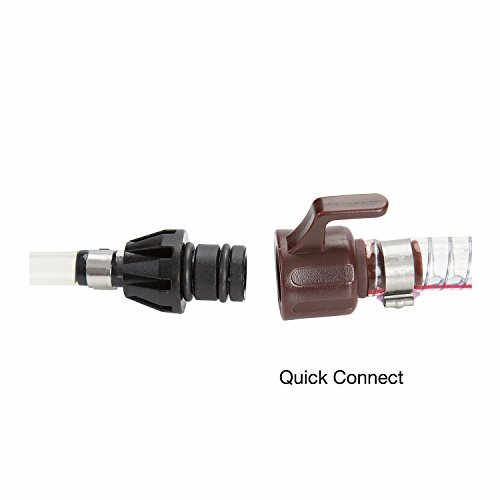 OVERFLOW PROTECTION: Shut-off valve prevents fluids from overflowing.